Since the first creative marks made on the walls of the Lascaux caves to the minimalist works of Yves Klein, pigment has been an integral part of mankind's existence. Sinopia has gathered together one of the largest selection of high quality pigments in the United States. We have one of the most varied selections of earth tones in America as well as a vast array of manufactured pigments. 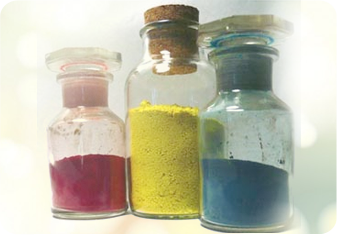 Sinopia takes pride in the fact that we provide quality pigments at very competitive market prices. So please browse our catalog and let your eyes feast on a buffet of color.